Recently, InsideEVs posted an article on vandals targeting hybrids and EVs in LaJolla California. There was a lot of speculation on what sparked the vandalism, but one thing stood out around the conversation on the vandalism - the fact that a large group of people do not separate hybrid electric vehicles HEVs from electric vehicles EVs.  So what generic term do we use to describe our community? On one end of the spectrum, there is a small group that declares that only pure battery electric vehicles BEVs should carry the title "EV". In fact, this group usually wishes to drop the "E" out of plug-in hybrid electric vehicle PHEV to PHV as to purge the use of the word electric. Then there are the Chevy Volt drivers that prefer the term EREV because they argue PHEV does not properly describe their all electric driving experience. The LaJolla incident made us realize the vast majority still barely separate hybrids (HEVs) from EVs. Next, InsideEVs followed with a story on Boulder, Colorado attempting to make it illegal for ICEs to park in an EV spot. This story drove home that when it comes to infrastructure, the world still needs a generic term to deal with all of us BEV/PHEV/EREV users. So I wanted to understand how the rest of the world (~99%) sees our vehicles and does a generic term exist? Is it EV or is it plug-in? Or is it both? Or is it regional? 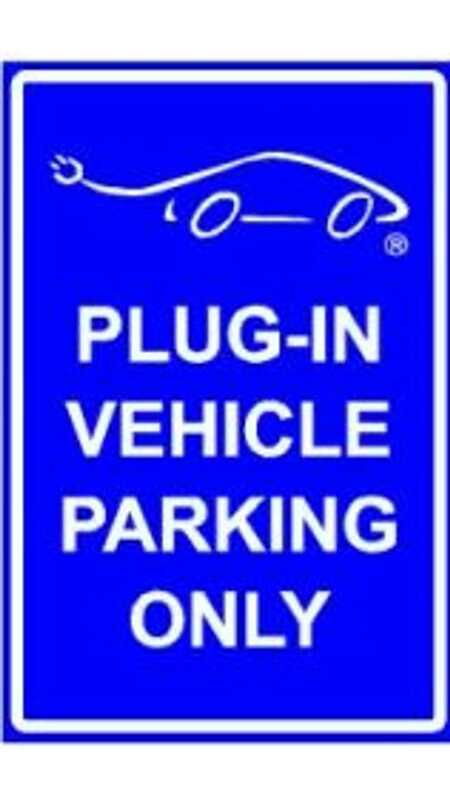 I googled plug-in signs and got a sign from the Plug-in America site . 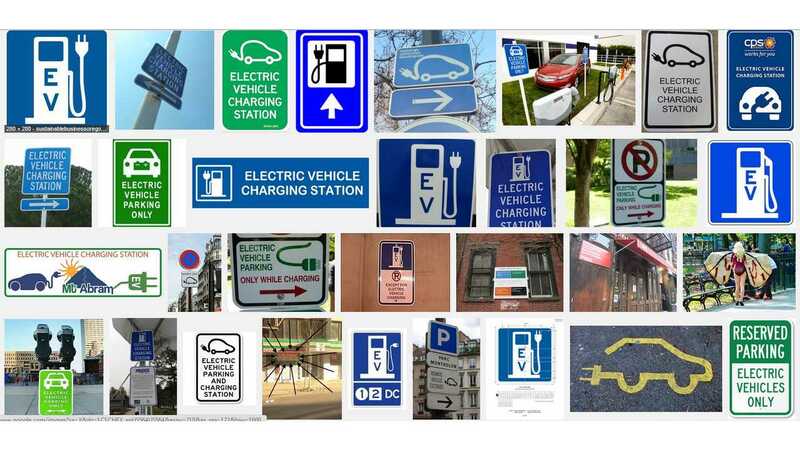 When I googled EV signs I got the above grouping of signs. I got everything from EV painted on asphalt parking to a generically labeled EV on a gas pump with a plug. There’s no debate, all electric vehicles are EV’s. An EV that plugs-in is a PEV. In discussions relating to a powertrain context an H is sometimes included (PHEV) to denote Hybrid EV, but rarely used in the context of charging. Including PEV and “charging station” on sign is a challenge unless a micro-font is used, so many opt to use an ‘icon’ symbol for the plug/station and EV. 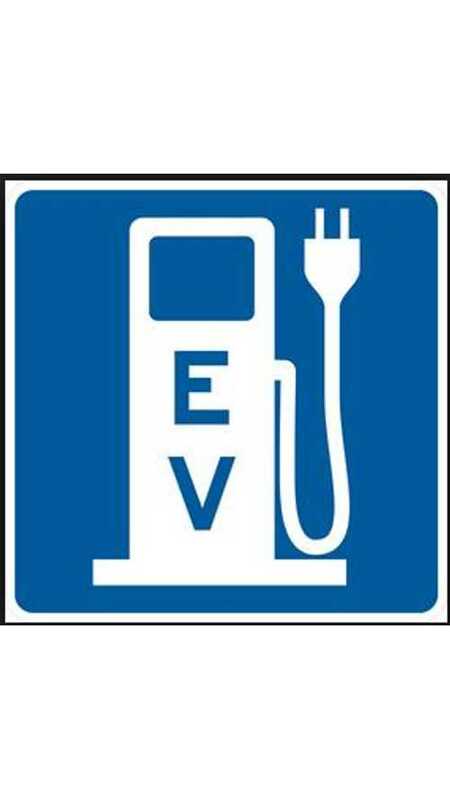 Use of EV is international in that the abbreviation is identifiable across many languages globally (see signs from Japam, Norway, Estonia, Finland, France, Germany, etc). Globally the word ‘plug-in’ is not used on signage. Most will give credit to the modern day electric movement starting on the heels of the Tesla Roadster and catapulting with the launch of the Nissan LEAF (BEV) and the Chevy Volt (EREV/PHEV). For myself, I like to see it through the eyes of the LaJolla California vandals and see the first hybrids arriving near the start of the 21st century as worthy of our electric cheers. And even with the limited electric miles of a number of PHEVs entering the market, I applaud you for moving one step closer to a fossil free highway. As for which generic term we prefer, some of our community will quote government documents defining the term of their choosing or explain the technical merits of the better usage. 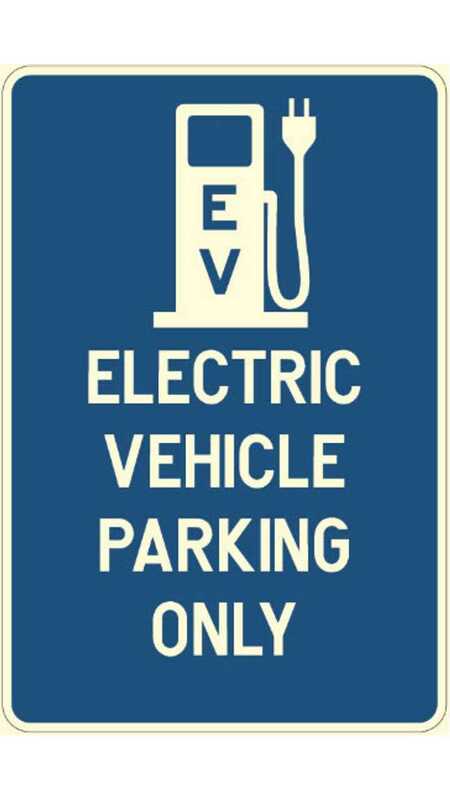 For the outside community, it may be decided by something as simple as the two letters (EV) that are easier to paint on the asphalt than seven - "plug-in" (dash included). You can make your case, but language evolves on it's own terms no matter how much one wishes to control it. I would reason that the masses will not start to understand the differences until the number of EVs/plug-ins exceed ten percent of the market. By then there may not even be a difference or we may be dealing with a plethora of options including CNG, LNG, FCV and maybe even CAVs compressed air vehicles! I am picturing an image of a CAV sign and I don't like it!